Fireworks are fun. So fun, we treat them like toys. Yes, toys that require a match, but toys nevertheless. Every year thousands of people, many of them children, suffer eye injuries in the US. 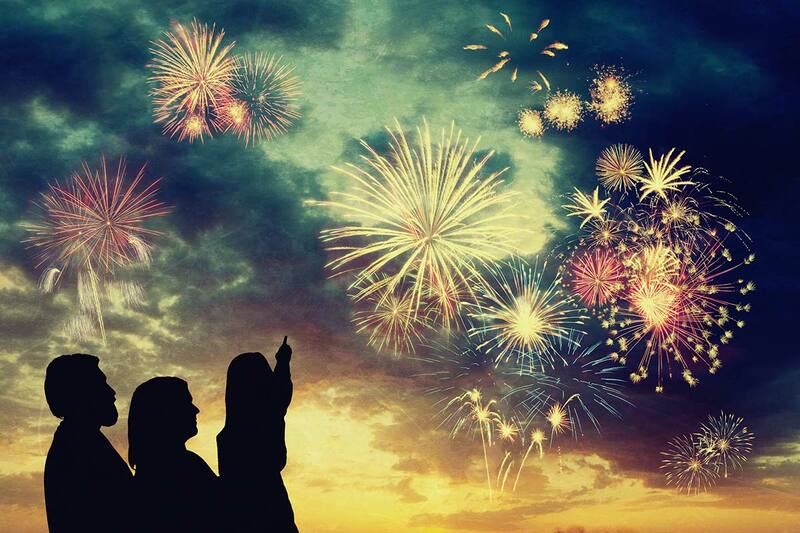 Not to cast a shadow on anyone’s 4th of July, but fireworks can rupture the globe of the eye, cause chemical and thermal burns, corneal abrasions and retinal detachment — all of which can permanently cause eye damage and affect vision. Here are some fireworks safety tips we would like to share. Respect safety barriers at fireworks shows and view fireworks from at least 500 feet away. Do not touch unexploded fireworks; instead, immediately contact local fire or police departments to help. Never let young children play with fireworks of any type, even sparklers. People who handle fireworks should always wear protective eyewear that meets the parameters set by the American National Standards Institute and ensure that all bystanders are also wearing eye protection. Leave the lighting of professional-grade fireworks to trained pyrotechnicians. Wishing you a wonderfully fun and safe Independence Day!